Gomersal-based singer Samuel S Parkes has just received funds to record a four-track EP by fans who heard his music online. Parkes cut his teeth as lead singer with Leeds indie band The Finnlys, supporting groups like Twisted Wheel, Reverend and the Makers and Ocean Colour Scene, and is now going it alone as a solo artist. Within a week of leaving the Finnlys, the 24-year-old recorded and released his debut single Work to Live, Don’t Live to Work in November. “I had got bored of the strength in numbers approach of working in a band and really wanted to step out and show what I could do,” says Parkes. The single showcased a new direction for Parkes who had taken inspiration for his sound from the Northern Soul and Mod scene of the 1960s. 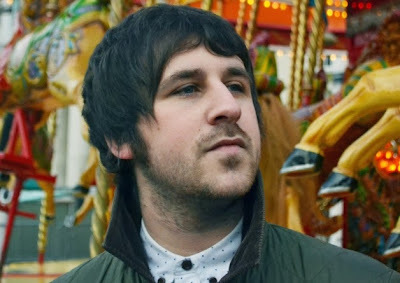 Parkes’ love of Mod culture has seen him perform his music in front of thousands of people at scooter events across the UK and Holland. But it is his use of social networking sites like Twitter and Facebook that has helped him to introduce his music to fans from around the world. And through a website called Pledge Music Parkes has been able to get fans to invest in the production of his music. Thanks to fan investment, Parkes is currently in the studio recording the Night Owl EP which will be launched at The Library, Leeds, on March 8, 2014. For more information visit: www.pledgemusic.com/artists/samuelsparkes. This article was published by the Yorkshire Evening Post on December 19, 2013.